Today (Monday 8th May), I am able to announce some new functionality for EthTools.com - Accounts, and Ethereum Name Service (ENS) Integration. Double Negative has always been a company created to build high utility web applications on top end domain names. Having been personally invested in the Ethereum platform since the early days, it was only ever going to be of interest building on the Ethereum platform in a corporate capacity were there to be areas where we could add value in our niche. We have quietly offered wallet management functionality, have been actively developing our chain explorer, and offer tooling pertaining to contracts as well as more 'tool-like' tools such as our unit convertor. Today we are releasing EthTools.com accounts, and our ENS integration. Popular web applications like Facebook and Twitter offer APIs which developers can integrate into their own offerings. The basic premise is that a user can login to a third party website using their Facebook/Twitter account. They do not need to fill in any long arduous forms, and can sign up in a matter of clicks. Whilst there are more complex end-to-end identity offerings on the horizon (for example uport), we wanted to produce something more simple. Our offering allows you to simply authenticate (on the web) that you own a particular Ethereum address. No plugins, or third party applications are required. Interface wise, we utilise our simple 'wallet flow' to allow you to load your account from a mnemonic or a Geth/Parity key file. You click submit, and you are logged in to EthTools.com. It really is that simple. Apart from your Ethereum address, we take no data from you. In the future we will open up our API in a similar manner to how Facebook and Twitter have - you (as a third party web developer) will be able to direct your users to login using our tooling, and we will validate that information on your behalf. Oh.. that really was easy. In a similar way to how there are multiple implementations of the Ethereum client (Geth, Parity etc), we felt that multiple implementations of the Ethereum Name Service contracts was imperative. Given our domain name background, it has been extremely interesting to follow along with the development of the ENS. Massive thanks to the ENS team, especially Nick Johnson who has always been happy to answer my foolish questions. On a personal level the ENS is essentially the meeting point of a number of my interests/knowledge areas. I have a degree in Economics, and actively follow the Behavioural Economics movement. Creating an implementation of the Vickrey Auctionr, and seeing it in action has been enlightening. Unlike the 'official' client (which is mainly client side - that is to say everything runs in your browser), we offer an end to end ENS offering utilising both client and server side components. We interact with the ENS contracts (on the blockchain) to guide you through the whole process with a simple and easy to use interface. You can start/join an auction is as few as 10 clicks. 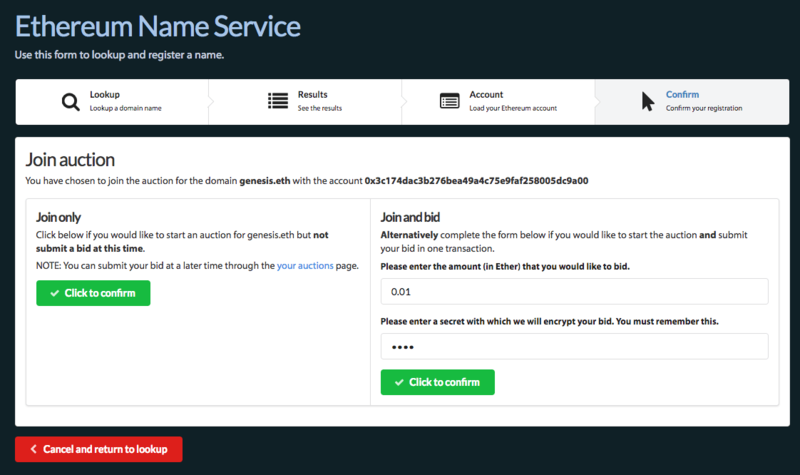 In addition to this we also keep track of your auctions and bids server side. We display details of your auctions, and their current status in a simple user interface. From this platform you can reveal your bids (at the appropriate time), and finalise the auction (as appropriate). This is not my watch list. Honest. Unlike MyEtherWallet, our codebase is not open source. We love open source, but given that our codebase includes a complex front end and back end set up, our tooling is not amenable to the 'Download a copy and run it on an airgapped computer' approach. That is to say that if you use EthTools.com, we are asking you to trust us. In return we offer simple, end to end tooling for interacting with the Ethereum network. We do not however ever transmit your private key over the network. If you have the time, you can monitor our requests to confirm that this is the case. 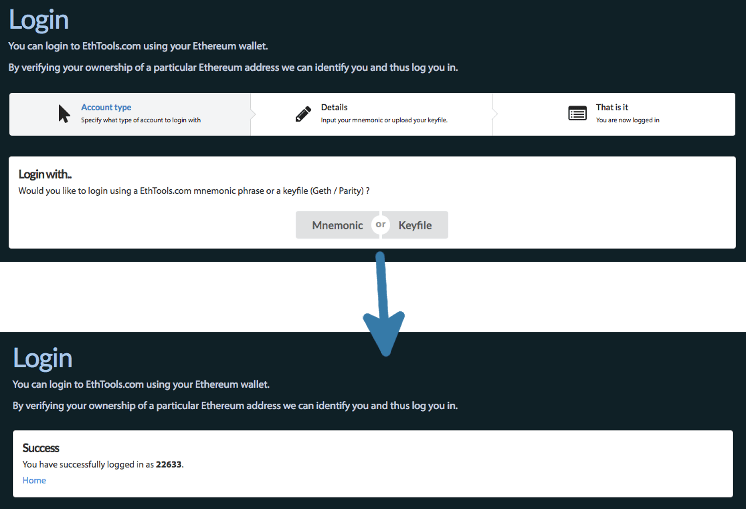 If you want to try out our offerings, and are (understandably) wary of a new player in the metaphorical game, why not transfer a small amount of Ether to a new account which you can then utilise with EthTools.com. It is a good idea to not use your 'main' account day-to-day anyway. You can create a new wallet here. Unlike Metamask, we are a web application. Metamask is a browser extension. 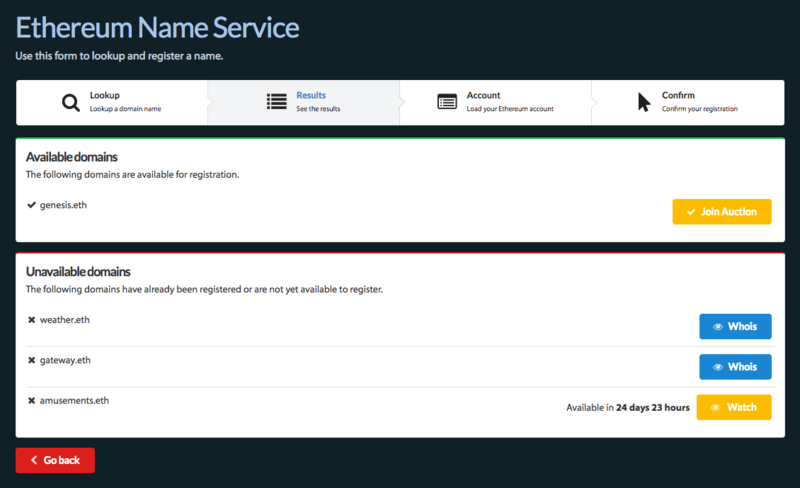 We essentially wanted to begin to build the GoDaddy or Uniregistry (traditional domain name system registrars) of the Ethereum Name Service - a complete platform for the registration and management of ENS names. We have gotten the ball rolling, and hope that you will try out our offerings and let us know your thoughts. I may as well take this opportunity to offer a disclaimer. The Ethereum blockchain is big. Building our chain explorer was a fun learning experience in itself because it has to provide accurate data, in near realtime, from a huge data set. I learnt a lot building it, and will surely learn even more when something goes wrong. 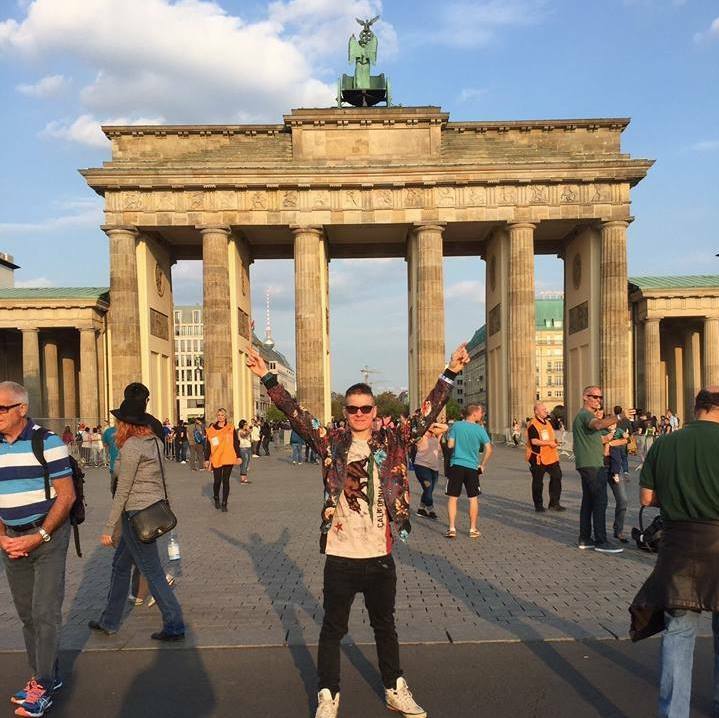 Something specific that you would like to see? Same as above. Email me, phone me, tweet me. Want to chat? Email me, phone me, tweet me.